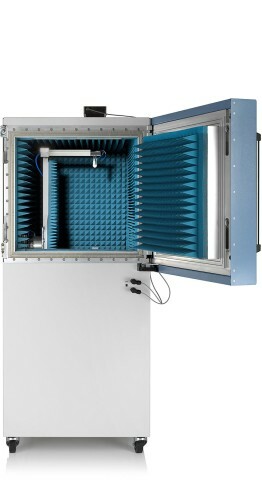 The R&S®ATS1000 antenna test chamber is the ideal environment for 5G antenna characterization throughout the entire process from R&D to production for both active and passive devices. 5G is all about data, speed and reliability using high frequency millimeter wave bands. The lack of conventional external RF connectors make 5G antenna characterization challenging. 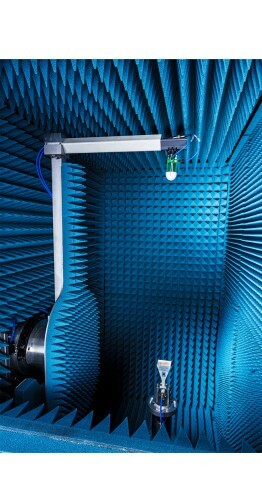 5G antenna, chipset and UE manufacturers as well as wireless market operators need a viable solution for research, diagnostics and debugging up to type approval. 5G is all about speed and reliability. 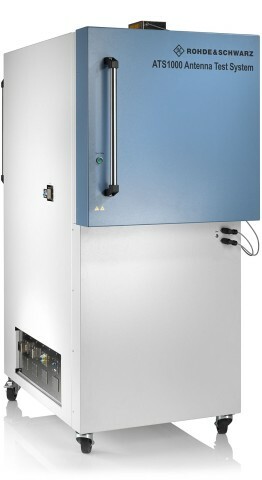 The high precision conical cut positioner integrated in the R&S®ATS1000 makes extremely fast and accurate antenna characterization possible. The positioner allows highly precise azimuth and elevation movements with extremely high repeatability and angular resolution, thus assuring accurate 3D antenna measurements. Most passive antenna modules require wiring of multiple signals such as power supply, USB communications and Ethernet. 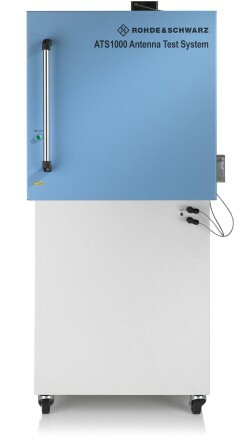 This is absolutely no problem in the R&S®ATS1000 thanks to the rotary joints and wiring inside the turntable allowing complete 3D measurements of the device under test. Different DUT holders and fixtures are available to allow convenient measurements for different sizes and weights. These holders are made of an RF transparent material in order to reduce reflections in the chamber. An accurate DUT positioning and RF calibration is essential in order to get highly precise results. 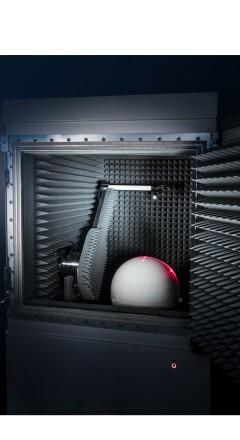 Cross lasers integrated in the chamber ensure maximum precision for proper alignment of the DUT. The compact and versatile design of the R&S®ATS1000 fits into any lab ensuring a small footprint of around 1.3 m2. Developers no longer depend on large, external antenna chambers installed in a fixed location to test and optimize products in the design phase and can thus avoid measurement bottlenecks, since these chambers are usually booked long in advance. A mobile shielded chamber on wheels can be easily shared among multiple departments, ensuring a greater return of investment. The R&S®ATS1000 provides a high performance shielded environment over a wide frequency range from 18 GHz to 87 GHz. 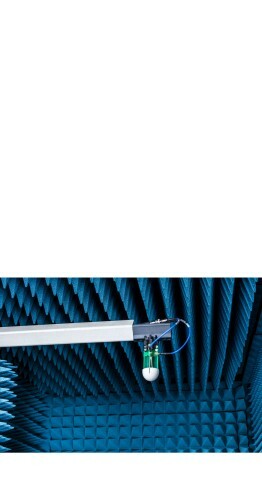 The decisive advantage of the R&S®ATS1000 is that it offers measurement accuracy as high as that of a three times larger antenna chamber in a more compact shape. The R&S®ATS1000 fits into any lab, which avoids investments for new infrastructure. 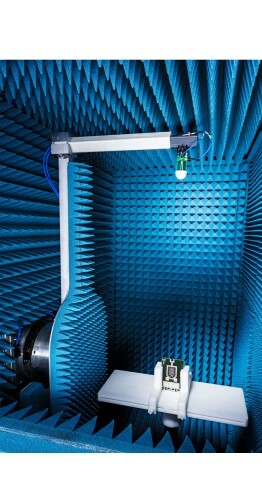 Most of the future 5G test cases will be happening in far field conditions, particularly for transceiver measurements such as channel power, EVM and ACLR. The flexibility of the R&S®ATS1000 and the variable height of the elevation arm results in a customizable range length, allowing farfield measurements in a compact setup. This can be useful when measurements at a closer distance are required due to high atmospheric path loss. When the device under test exceeds the maximum size for far-field conditions, a near-field to far-field transformation is necessary for increased measurement accuracy. The R&S®AMS32 software not only controls the measurement equipment, positioner and automates the 3D measurements; but also contains new features and options to perform fast near field to far field transformations with arbitrary or uniform grid sampling. 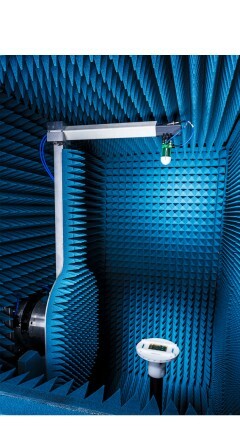 1) Measurement antenna up to 87 GHz. Direct RF measurements up to 50 GHz. Frequency extension on customer request. 2) Outer dimensions including the R&S®ATS-LASER option: 0.984 m × 2.1 m × 1.53 m.